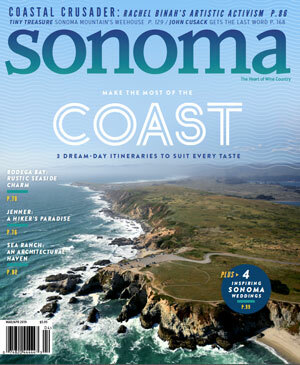 Sonoma Magazine is seeking a contract sales professional to manage and grow an account portfolio with unlimited new business potential across print and digital platforms. We publish the premier Sonoma-based lifestyle magazine Sonoma Magazine, as well as the annual Sonoma Weddings, the 1 million+ pageviews a month, sonomamag.com, and the eNewsletters Cork+Fork and Retail Therapy. This energetic and self-driven person will work with business owners, marketing directors, and advertising agencies, both locally and around the Bay Area. The ideal candidate will have at least two years of sales experience, preferably in media. The candidate should be motivated, organized, goal-oriented, and possess an outgoing personality and professional demeanor. Our sales professionals must be able to prospect, make cold calls, and develop new business. Detail-oriented, and excellent verbal and written communication skills are required. Must be able to thrive in an informal yet high-pressure and deadline-driven environment. To apply: Email a cover letter and resumé to michael.zivyak@sonomamag.com. Sonoma Media Investments, LLC is an equal opportunity employer.